Bright Club St Andrews: Bright Club St Andrews IV: Duck the Halls! Tickets available! 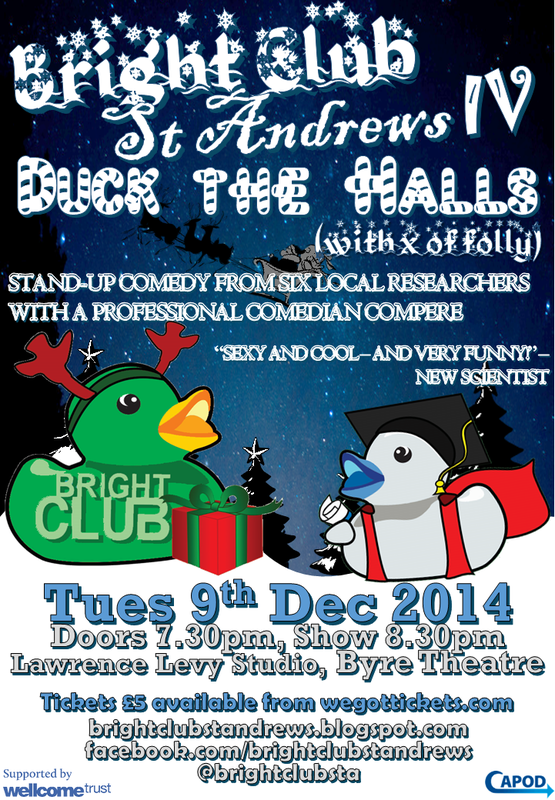 Bright Club St Andrews IV: Duck the Halls! Tickets available! Tickets for our fourth and final show of the year are now available online! Click here to go to our ticket site and you're £5 away from an evening of fabulous peer-reviewed comedy.